Home / Cubbies & Playgrounds / Ideas to keep your children healthy and active! Are you looking at ways to get your children outdoors and keep them healthy and active? We have a great range of products to choose from that promote a healthy and creative life for your loved ones! There are a broad range of products to choose from within our cubby and fort range, with sizes and designs to suit all tastes and backyards. Through adding an elevation a whole host of options are opened up to choose from. These include rock walls, scramble nets, slides and firemen’s poles. 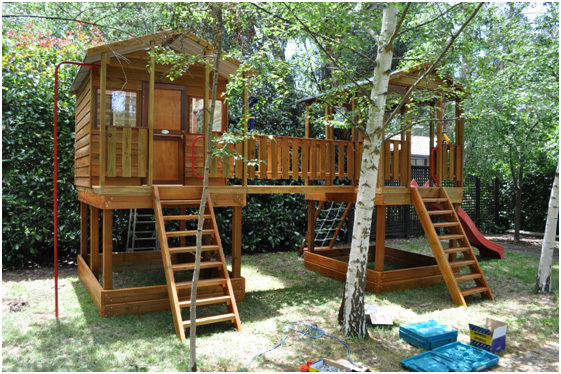 You can essentially create a whole playground in the safe environment of your backyard! So how do you go about choosing exactly what you want? We would recommend looking at the space you have first and determine what size would suit best. Once the desired cubby or fort is chosen then work out if you would like to add an elevation. A 0.45m, 1.2m or 1.5m elevation can be added to the structure. Then from there click on the Options category which expands to show the broad range of options available. If you are considering a swing set or monkey bars then they can only be attached to specific products, which are the Action Fort and Jungle Fort. We have fully engineered our products to ensure the safety of your children. That is why the swing set is constructed using a 90mm x 90mm RHS frame. Unfortunately the swing set and monkey bars are unable to be joined to other products. 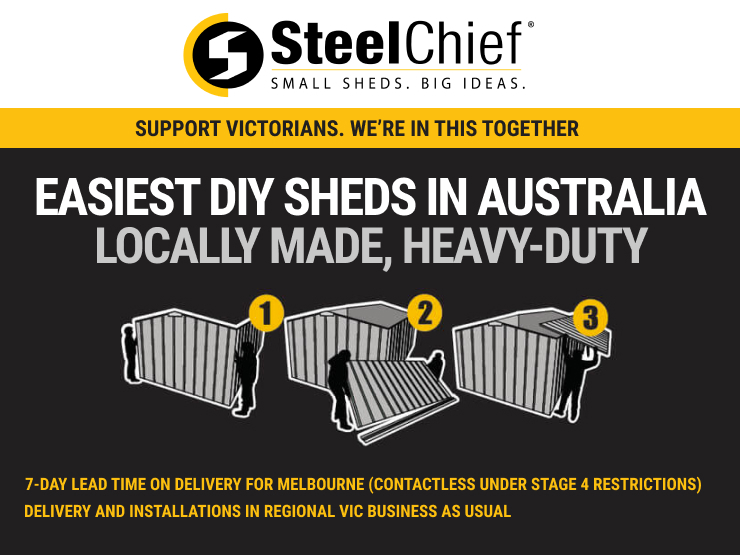 So to promote a healthy child in both body and mind we recommend a SteelChief cubby or fort! It is a great investment in their future and helps promote an active and healthy future.